Zhejiang Statistical Yearbook 2018 is an annual statistics publication,which contains very comprehensive statistics of Zhejiang’s social and economic development in 2017 and selected data since China adopted the policy of reforming and opening to the outside world. The yearbook is composed of 18 parts.1.General Survey 2.Population and Employment 3.Investment in Fixed Assets 4.Prices 5People’s Livelihood 6.Agriculture 7.Industry and Energy 8.Construction 9.Transportation,Posts and Telecommunications 10.Wholesale and Retail Sale Trade and Catering Trade 11.Foreign Economy and Trade，Tourism 12.Public Finance,Banking and Insurance 13.City Construction and Environment 14.Education,Science,Patent,Surveying and Mapping and Standard Calculating 15.Culture,Sports and Public Health 16.Archives,Judicature,Social Welfare and Labour Union 17.Major Indicators of National Economy by City and County 18.Appendix（Confidence Index,Input Output table）.In addition,brief notes are placed at lower part of some tables and explanatory notes on main indicators are provided at end of each part. The statistics in former statistical yearbook have already been checked. 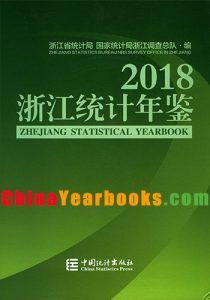 The data in Zhejiang statistical yearbook 2018 shall be regarded as authentic ones.The footnotes are placed at the last page,if the table is a continued one. “…”indicates that the figure is not large enough to be measured with the smallest unit in the table.“#”indicates the major items of the total.“blank”indicates that the data is unavailable. 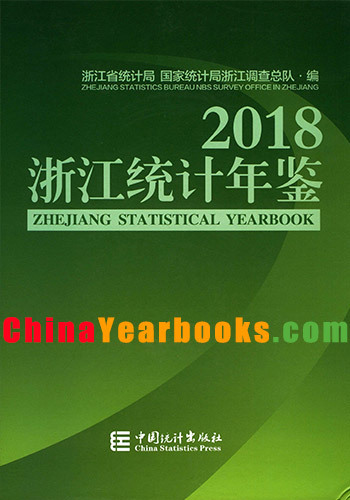 Since published openly ,Previous Editions of Zhejiang Statistics Yearbook have enjoyed wide concern and support,all circles have made many valuable suggestions, and we express heartfelt thanks.In order to improve yearbook editorial level,we welcome all candid comments and criticism from our readers.